Looking to reduce your emissions? Save money? Get a car with instant torque? EVs can do all of those things, but many balk at the price tag. With manufacturers like Tesla charging big bucks, it's not hard to see why EVs have gained a reputation for being expensive "toys for the rich". While the cheapest new models are all well over $30,000, there's a thriving market of used electric vehicles, with the lowest prices well below $10,000. Looking for a good price on a fast electric vehicle? If you can spend between $15,000-$20,000, you might consider a used BMW i3. With almost 200 ft. lbs. of instant-on torque, you can weave through traffic with ease or have fun at the track. Some vehicles came with a small gas engine mounted in the back to keep the batteries charged and extend the range. Just search your local Craigslist. Here's an example of what's available in Phoenix, Arizona. Want even more power for under $10,000? You might consider the Chevrolet Spark EV, but it's going to take some more work to get your hands on. The Spark EV was only sold in a few states as a "compliance car", and most of them were sold in California. Here's a link to what's available on Los Angeles Craigslist, and as of this writing the lowest asking prices were just under $7,000. Considering GM's good reputation for high quality EV battery packs, this is a steal. What's even more impressive than the price is the power. With 400 ft. lbs. of instant torque in a lighter weight vehicle, this car packs a wallop. It's no Tesla, but it has more than enough power for work or play. 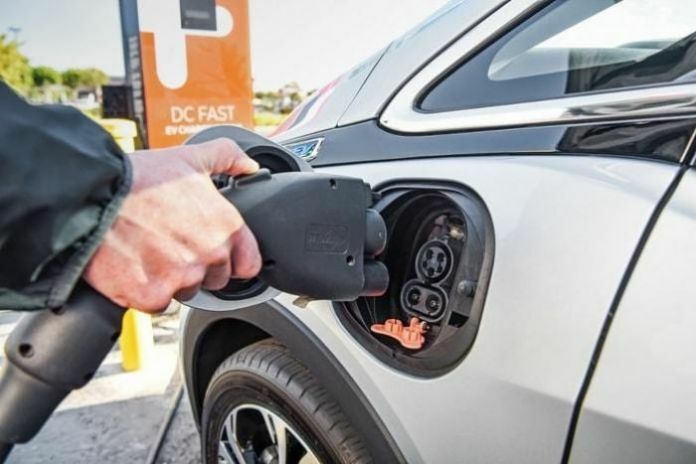 With a range of around 80 miles, you will want to find one with the DC fast charging option for longer trips and check Plugshare for local CCS Combo stations. To find more of these vehicles outside of California, look at major US used car chains like Carmax. Need to haul cargo and/or family around? Can't afford a Model X from Tesla? Consider the Toyota Rav4 EV. Like the Spark EV, it's a compliance car, and will be much easier to find in California, but you can usually get them shipped to your state if you don't live there. While it only came with 5 seats, the interior of the vehicle is the same as the gas-powered Rav4 up to 2012, so a seat transplant is not out of the question for 7 seats. You might also look at aftermarket seat builders, like Little Passenger Seats. The most impressive thing about the Rav4 EV is that it has a Tesla battery pack and drive unit, so you know you're getting good quality. With most used lease returns priced between $10,000 and $20,000, it's within reach of many more families than the Model X. Looking to find an EV dirt cheap? You're going to have to make some sacrifices, but it's possible. Used Nissan LEAFs with low miles and a good body are available sometimes on Craigslist for as little as $3,000, with prices under $6000 far more common. The downside? Range. A heavily degraded LEAF might have range as low as 30 miles, but if your commute is short, you can charge at work, or you're looking for something to drive only short distances, it might be a good choice to save money and dip your toes in the EV water. Nissan sells battery packs for around $5,000, so a used LEAF with a worn battery pack might also be a good way to get a next-to-new EV for under $10,000. Be sure to read the Used Nissan LEAF Buying Guide at Inside EVs to learn what to look for when shopping for a used LEAF. Now it's your turn! What other EV models would you recommend for somebody on a low budget? Let us know in the comments! Don't forget the AVERAGE new car in America sells for around $34,000 (KBB.com & Edmunds.com). Nobody seems to have a problem paying that for an ICE that is expensive to operate and maintain. Very true! But, OTOH, there's a thriving market in used because many people either can't or don't want to spend that much.